SD, FTP, Lan, Cloud and file explorer. Download MiXPlorer app for android. MiXplorer is very powerful and reliable file manager for Android devices. It offers the ability to copy, cut, paste and move files or folders. It also has a comprehensive search tool to find any content you need, along with the options to extract and create compressed files in most used formats: ZIP, RAR, TAR, GZIP, 7z, CAB, ISO, ARJ. MiXplorer can be linked to cloud storage services including Dropbox, Box, Yandex, Mediafire, 4Sync, HiDrive, Baidu, Kuaipan, Mega and Google Drive. It can also serve you as FTP server and client. All of the media files, including photos, videos, music and GIFs can be previewed straight from the app. 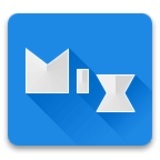 MiXplorer is very smooth and fully featured file manager for your Android. What is MiXPlorer? You can browse media content about MiXPlorer on Pinterest, where great images are added every day. Watch how to install and use MiXPlorer videos on YouTube. You can also look for MiXPlorer app on Amazon Appstore.